Doing a quick post with some outfit photos because I have too many of these lying around! Haha don't expect indie-looking or soft, glowy photos. I always get asked about the silver spiral ring - it's from Marc By Marc Jacobs in London. Black maxi, bought it from Primark (mad awesome megastore) in London! And ok I know the cats shouldn't be part of an outfit post but I just saw them peeking out the grill at everything that went past (e.g. me) and thought it was cute! This photo was taken outside the Cineleisure lift (carpark level), if you guys can recognise it! 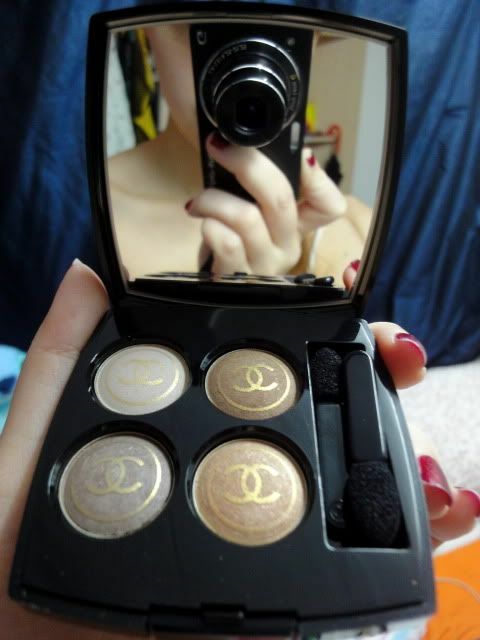 Decided to try using a Chanel eyeshadow palette I got recently as a gift. Such a shame to wipe away the CCs. The colour goes on the eyelids well but it's not very dark so I'd say it's better as an eyeshadow base or for blending into the skin tone. 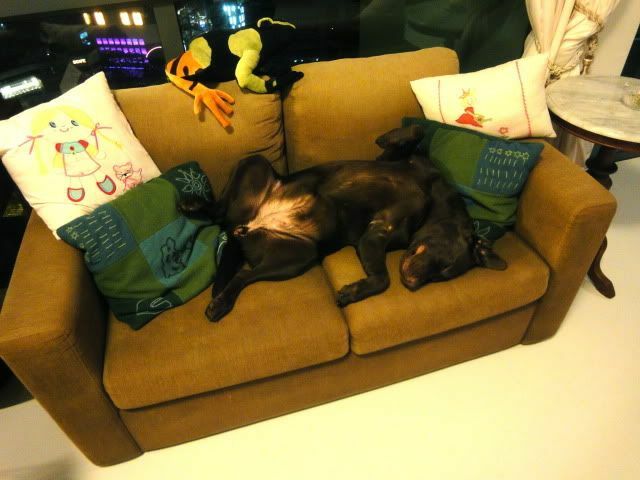 Random picture of my friend's dog enjoying life on the couch. You can't really see it in this photo but his balcony actually overlooks unto Cineleisure! 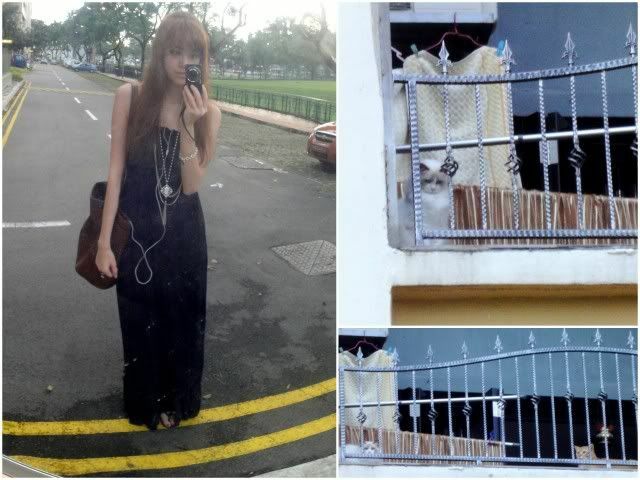 4 comments on "Outfits Of The Week"
Annabella: I got it from a shop on the 2nd floor of Bugis Street! Just walk around, there are quite a lot of shoe shoes there. hey if you want the eyeshadow color to be darker try to dip the applicator with some water before you apply. u will see different effect. Sophie, the last picture is TOOOOO CUUUUUTE!!!!!!!!!! !